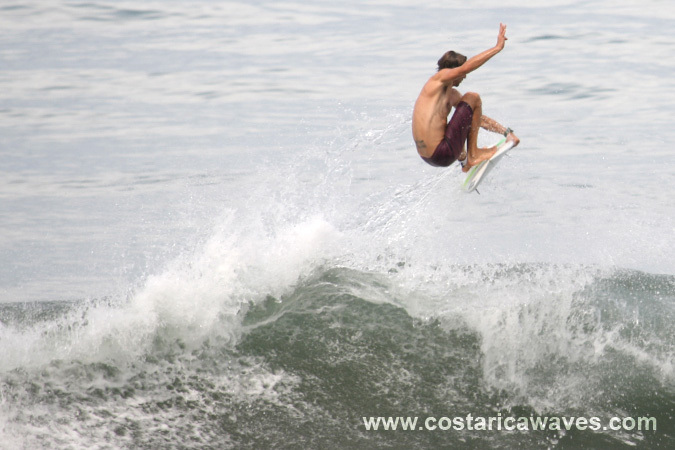 Playa Hermosa is one of the best well known surf spots of Costa Rica. 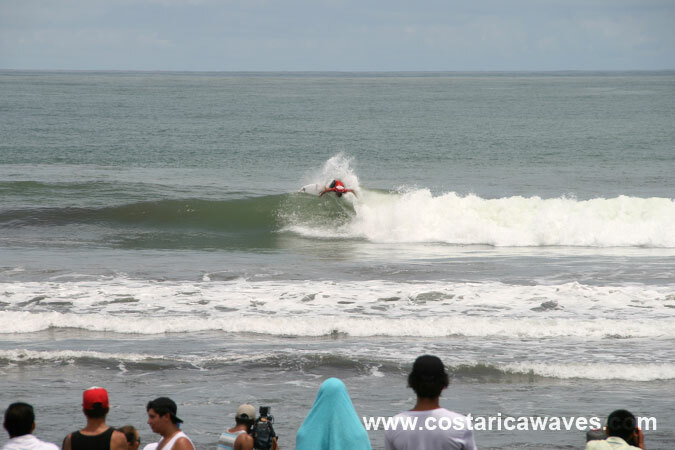 Actually Playa Hermosa is the name of the, 8 kilometers long, beach along which the surf spots are located. These beach breaks are very consistent. 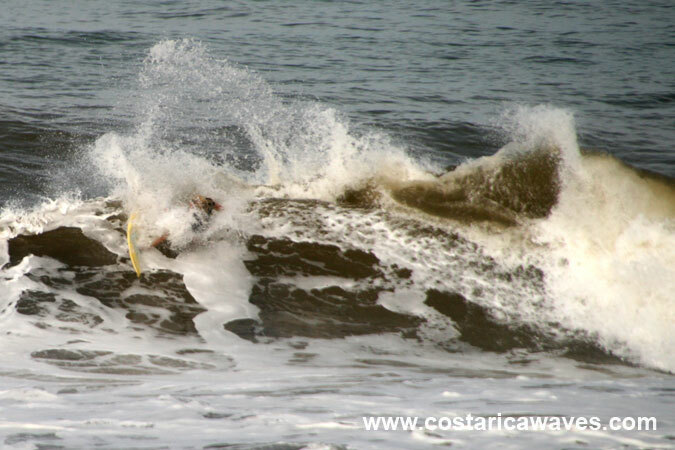 Swells hit the coast with their full power, Playa Hermosa faces the ocean without any protection. 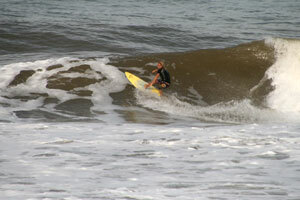 This is why the waves here are usually bigger than at the close by Jaco. 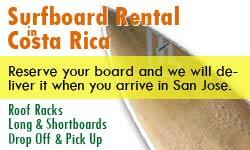 Broken boards are common at Playa Hermosa, the lip can be heavy. There are always some waves that break close out at this beach break. 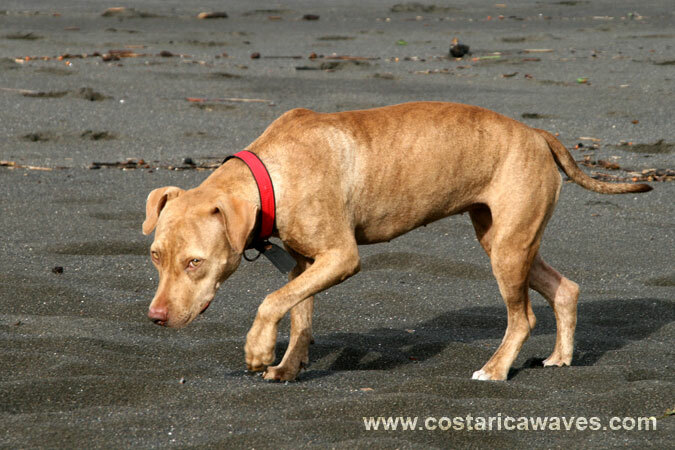 Crocodile sightings have been reported south of the village of Playa Hermosa. On September 3 2008, at around 9 am, Dakota Kilbride was attacked by a crocodile while surfing. A 3 m long crocodile bit the 13 year old surfer in his right leg. The victim recovered from the incident and is surfing again. Surfing Playa Hermosa in the rainy season. The waves break to the left and to the right at this beach. Throwing spray at Playa Hermosa. A beach dog taking a walk. 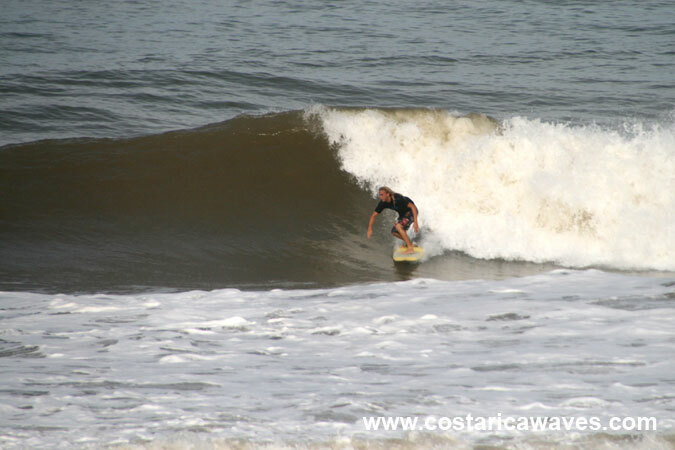 Noe Mar McGonagle, from Pavones, surfing Playa Hermosa. 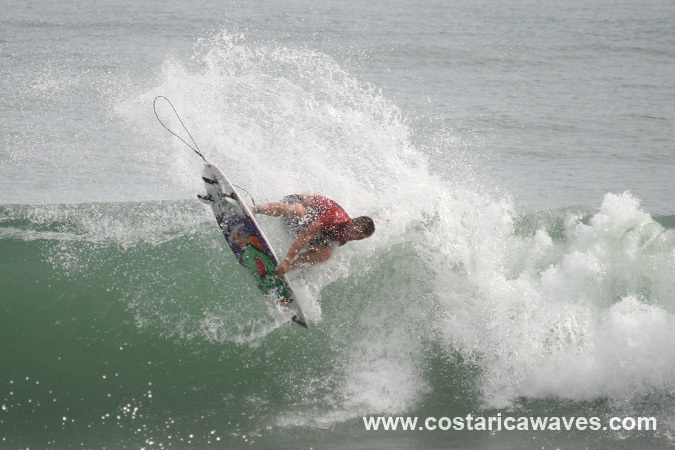 Thomas Lange surfing Playa Hermosa. Catching a small tube at Playa Hermosa. 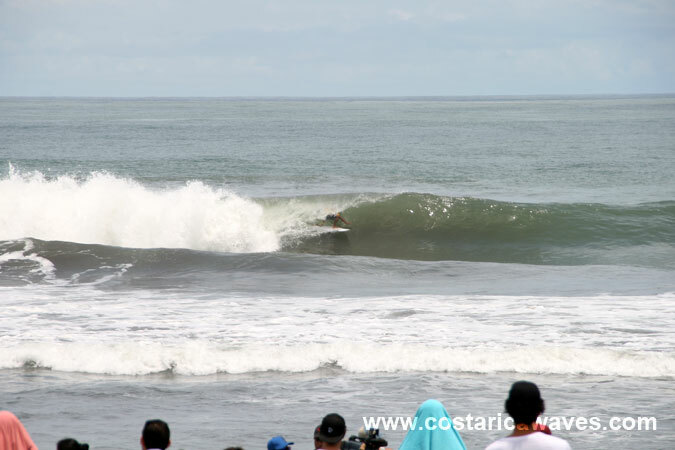 The Grand Final Reef National Surf Championship 2013 was held at Playa Hermosa.